My love of fashion, beauty and design has always been the driving force behind my passion for Makeup and Hairstyling, which is why I’ve put together a team of talented stylists in Toronto and Vancouver to meet all of your beauty needs. We believe in making each client feel comfortable and relaxed. Let loose and have fun as you become Camera-Ready on your most memorable day! Professionally trained, I believe in keeping on top of current trends and working closely with creative photographers and stylists to relentlessly reinvent the concept of beauty. I’ve gained years of experience working as a makeup artist and hairstylist in Toronto, Vancouver, Sydney and London. I am currently traveling back and forth from Toronto to Vancouver to help all of our beautiful bride’s to get all dolled up! Using top quality products such as., NARS, STILA, M.A.C., MAKEUP FOREVER, TARTE, and URBAN DECAY; I can create anything from a pristine natural look, to a show-stopping runway look. 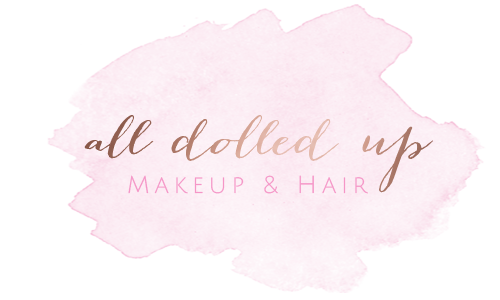 So whether you’re a Blushing Bride to be, getting ready for the ultimate Girl’s Night Out, or unveiling the Diva within for your next Photo Op, let the team at All Dolled Up Makeup and Hair help you get picture perfect! Servicing Toronto, Vancouver and Abroad. Services: Toronto Wedding Makeup Artist, Wedding Makeup Artists and Hairstylists, Bridal Makeup and Hair, Toronto Hairstyling, Mobile Beauty Services in Toronto and Vancouver, Engagments, Airbrush Makeup, Makeup Artists in Toronto, Makeup Artists in Vancouver, Bridal Hair Services, Bridal Makeup Services, Prom Makeup and Hair, Mobile Wedding Makeup Artist, Luxury Bridal Makeup and Hair Services.